It’s not often you get to put out a story that will go down in the annals of whisky legend but that’s exactly what the team have being doing for The Macallan, the world’s most valuable malt. We were briefed by the global team at The Macallan on a sale of two very special bottles of the famous whisky which were changings hands privately for a world-record $1.2m – that’s $600,000 per bottle (roughly £444,000, or £16k per dram if you were going to open it!). Each bottle contained liquid distilled in 1926 and bottled 60-years later in 1986, which is impressive enough. But what makes these bottles so incredible is they were then handed to Sir Peter Blake and Valerio Adami, two of the most famous artists of the past century, to create bespoke labels befitting the exceptional liquid being sold. The bottles then retailed for £25,000 each and were snapped up immediately as the perfect collectors item for anyone with pockets deep enough. Only twelve bottles by each artist were ever produced and no one knows how many are even left – making these bottles an incredible piece of whisky and pop-art history. We drafted a release in conjunction with the Dubai-based retailer Le Clos, who facilitated the sale, and issued to global media ourselves and via markets. 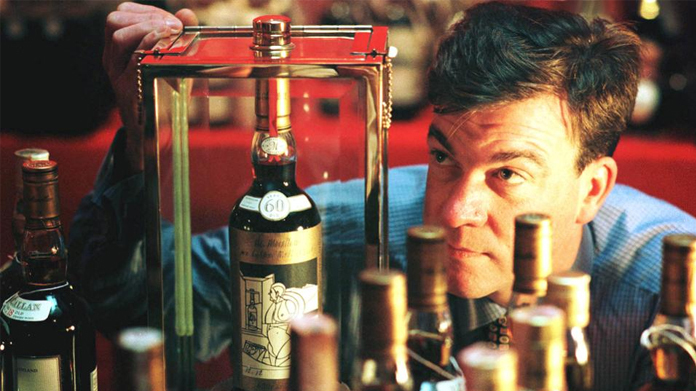 The pick up has incredible with titles across the globe talking about this once-in-a-blue-moon sale that highlights not only the collectability of whisky for investors but also the value of The Macallan. We broke the story via hits with The Times, Daily Record and The National, plus whisky and drinks titles including Spirits Business, ScotchWhisky.com and Drinks International. The story then hit the consumer titles with Forbes, AskMen, Maxim and BroBible sharing before Reuters took the story truly global, landing us with Aol, MSN and even USA Today as well as papers in countries like India, Dubai and even Kenya. The bottles are now safely in the private collection of an unnamed collector and it’ll be a long time before we see another pair of these elusive whiskies sold privately again.